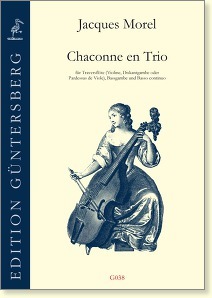 for transverse flute (or violin, treble viol, pardessus de viole), bass viol, and b.c., Paris 1709. 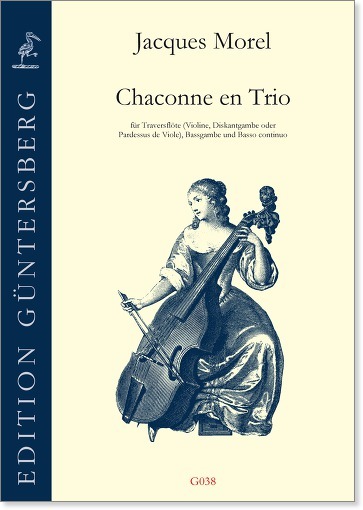 Very little is known about the French gambist and composer Jacques Morel except that he was active in Paris between 1700-1740, and that he was a student of M. Marais. His compositions are similar in style to those by Marais, although they are generally somewhat simpler. In our revised edition of 2005 the French signs of articulation, specific to the instruments, are employed as in the original.